Spectra Baby USA S1 Hospital Grade Breast Pump – Review of Why you Should Consider this Pump! I LOVE the Spectra S1 Breast Pump. When I was looking for my first breast pump while pregnant with my first baby, hospital grade breast pumps were crazy expensive. We are talking upwards of $900+. Renting them wasn’t much better as that added up fast each month! They are closed system pumps and can be used by more than one person. They are bigger and have different suction settings than “over the counter” pumps. They are much stronger and better for early use to establish milk supply. The Spectra Baby USA S1 claims to be a “hospital grade” strength pump and this could be a marketing technique for them as the term “hospital grade” is not recognized by the FDA. Hospital grade is typically used to signify that it allows more than one user and being they are more expensive and better pumps, the pump is more powerful. This pump is highly rated and in some cases even had a better rating than other hospital grade pumps out there that are significantly more expensive. That brings me to the Spectra Baby S1’s most impressive feature – Its price. It is hundreds, if not nearly a one thousand dollars less than typical hospital grade pumps. If you are struggling with a low supply, have multiples, a preemie, or are away from your baby often, this is a fantastic hospital grade pump at an amazingly low price! Has a built-in rechargeable battery and AC adapter. Powerful pump performance with a maximum suction strength of 280mmHg (+/- 15) per Spectra Offical Site. It is a closed system pump. 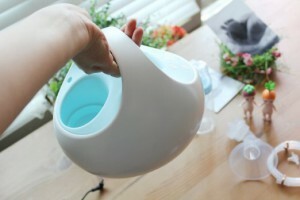 The Spectra Baby S1 is often referred to as the “Cadillac” of breast pumps. The fact that it is so affordable and is a hospital grade pump really is enough but there are many more features that set it apart from its competition. One of those features is the two settings it offers – Massage and Expression Modes. It will then switch to expression mode, a deeper, slower pattern of suction which mimics how your baby nurses after your milk has let down. There are other pumps on the market of course that offer this feature and do it well (the Medela Freestyle is one) but what I really like about the Spectra is the combination of the two settings, the digital screen, and quiet, quiet pump motor. All these things together make it right up there in my top favorite pumps! The Spectra Baby S1 is a fantastic pump. Any moms who are struggling with supply issues, this is a must-have. This pump is strong enough to keep your supply where it needs to be but gentle enough that you won’t feel discomfort while pumping. Keeping the pump clean is as easy as cleaning the flanges as this is a closed system pump. Even though it is a wide-neck bottle collection kit, there are many neck bottles out there (Avent and Dr. Brown’s are my favorites) or you can purchase the adapter to pump into standard sized bottles so that is a plus. So it really hasn’t been an issue for me. I have also used the Kiinde Twist system with the S1 and LOVE it! I highly recommend this pump! It is by far one of the best on the market. Click here to read more about the Spectra Baby S1 Breast Pump! Read: Need a Pump Bag? 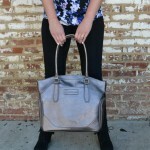 Check Out Why This Sarah Wells Bag is the Best! Read: Need Bottles and Accessories? 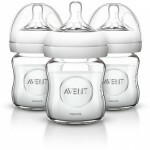 Check Out the Avent Brand Page! Read: Go Hands-Free! Check Out My Favorite Pumping Bras Here!